A couple times in life we may find ourself in a position to sell my car or sell a unwanted car or truck. This can be stressful or even uncomfortable to sell my car. Where do I start, how much should I ask for the car? How much do I clean the car up? Typically trading in a car to a dealer backless challenging because they typically want to buy your car only if you buy another car from them. They call this a trade in. Sell your car to us and buy a car from us at the same time. So what if I just want to sell my car or truck? Need to sell your car fast, easy, free and safe? 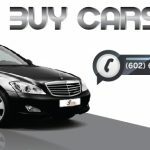 CarBuyersArizona.com is the top rated Car and Truck Buying Service in Arizona. We spoke with car buyers Arizona and they have been buying cars and trucks in the Phoenix Metro area since 1999. They are top rated and have been voted best car buying service in Phoenix year after year. They have been described as fair and honest. They will buy your car or truck in nearly any condition. They come to your home or office and buy your car, truck, van, motorcycles, motormen or SUV. The handle all the paperwork and will even tow your car for free. Contact car buyers Arizona who will buy my car, sell my car or cash for cars Phoenix. Get cash for your car today. Car buyers Arizona is very interested in buying and purchasing any any vehicle, and condition and of any year or make or model. They will come to you or you your office to purchase your car. We Buy Cars and Trucks for Cash. Contact them for a free quote. 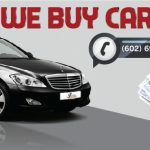 We buy cars, get cash for cars anywhere in the Phoenix Metro Area. They even provide a free quote with no obligation. Selling your car is as easy as three steps. 3.) Sold. They will buy any car, they will come to you with a fair offer and bring cash. One phone call does it all in Arizona. Don’t trade in your car to a car dealer. Car dealers have tons of overhead and they do not give my much money on trade in. They typically do not want used cars on there lot. Therefore they will not give you much money for your trade. If they do give you a lot for your car they have inflated they price of they car you are buying. Car Buyers Arizona, 602.696.4570 will even purchase your car cheaper then our CarMax. CarMax will buy your car and then sell them at Aution, therefore , they need to get these car really really cheap to make it worth there time. Car Buyers Arizona is a local company who we recommend you do business with. Buy and sell cars locally to local companies. Old Junk Car In Your Back Yard Could Be Worth Money! Car Buyers Arizona is a local car, truck, suv, and motorcycle cash buying service. We buy unwanted vehicles for cash, quickly. We take the hassle out of selling a car for a fair price fast easy and free. One call to 602.696.4570 does it all. 7521 E. Cannon Dr Suite#2.